It is important for every individual who is filing bankruptcy to consider those who may be co-debtors on any of their debts. All of a debtor's assets and all of their liabilities must be included on the bankruptcy petition. Often, debtors have a joint credit card with a spouse, a joint bank account with a dependent child, or are a co-signer on a relative's automobile loan. The bankruptcy filing can affect the non-filing co-debtor's asset or line of credit. Only spouses can file a bankruptcy petition together. It is usually best for both spouses to file bankruptcy together, known as a joint petition. Clients sometimes wish to not have their spouse file because he or she is not liable on the debtor's debts, medical bills, or other debts that precipitated the bankruptcy filing. In other words, the debtor doesn't want the spouses credit affected. This would be the case - the non-filing spouse or relative would not have the bankruptcy reported on their credit. But what happens to the asset or debt that is joint? It's simple, the non-bankruptcy filer is still liable for the debt. In the case of automobiles, the debtor may have to reaffirm the debt (essentially being put back on the hook for the debt) if the co-debtor seeks to keep the automobile. In the case of credit cards, the account will be closed and the non-filer will still be responsible for the underlying debt. In the case of a house, the non-filer would still be personally liable under the mortgage note in the case of a foreclosure or deficiency judgment. 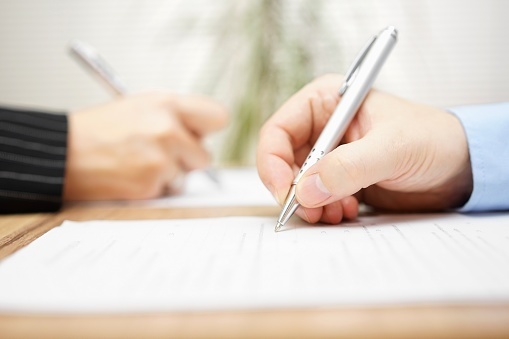 A joint bankruptcy petition enables both spouses to clear up their unsecured debts in full. The purpose of bankruptcy is to obtain a "fresh start." Having your spouse's debts remain after the completion of your bankruptcy case can be counter intuitive to the whole process. Our firm charges the same fees for a single or joint petition (since proof of your spouse's income will be needed for your case anyway). Why leave your co-debtor spouse indebted after you emerge from your bankruptcy case discharged of all of your unsecured debts? Need help? Contact a personal bankruptcy attorney today for a FREE consultation.